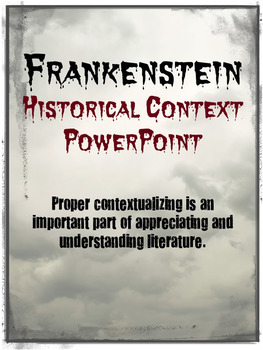 Frankenstein Historical Context PowerPoint is an excellent way to contextualize the novel to bring about a better understanding of the novel’s themes. The presentation includes six slides with important historical information without overloading students with information that they won’t remember. It’s teaching and learning made easy!